Raids were carried out on several firecracker shops and warehouses under the supervision of City Magistrate Sunil Kumar and Circle Officer Raghvendra Singh Rathore. Seven people were killed on the spot and one person died at a hospital yesterday. 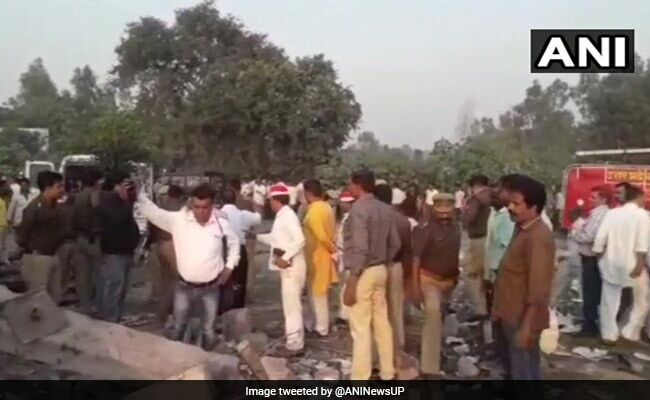 A day after eight people were killed in an explosion at a firecracker factory in Uttar Pradesh's Badaun, authorities today sealed three godowns for allegedly storing crackers more than permissible limits. The Anti-Terrorism Squad (ATS) team, which reached to probe into the case, said prima facie it appears that laxity on the part of those present in the factory led to the explosion. "Three godowns storing firecrackers more than the permissible limit as well as their capacity have been sealed," Mr Kumar said. Besides, it was also found that these godowns were set up in places other than that stated in their respective licences, the city magistrate said. Cases are being registered against the owners of these godowns, he said, adding that action will be taken against those violating guidelines and norms related to trade of firecrackers. Meanwhile, incharge of ATS team Manjot Singh said an inspection was carried out at the explosion site yesterday and this morning and prima facie it appears that necessary precautions were not taken. "All those who could have given us concrete lead have died in the incident, but the people living in the vicinity said that deceased were often seen smoking bidi with the guests visiting the factory," he said. 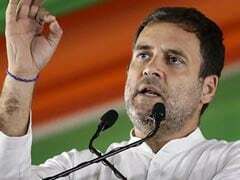 "The factory had a licence of 15 kg explosive material, which is enough for causing a massive explosion...even the ash of a bidi was enough to cause a blast," Mr Singh said, adding that the exact reason behind the incident will be known only after the conclusion of the inquiry. At least eight persons were killed and three others seriously injured Friday in an explosion at a firecracker factory in Rasulpur village in Badaun. Following the incident, Uttar Pradesh Chief Minister Yogi Adityanath had ordered district magistrates and superintendents of police to inspect firecracker factories, transportation of firecrackers and their sale. He had also directed them to take adequate steps to ensure accidents due to firecrackers do not take place.